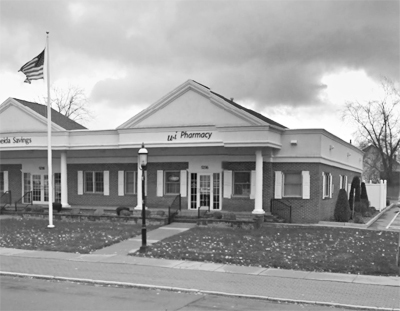 u&i Pharmacy in Vernon is a family owned and operated pharmacy which stocks and dispenses all prescription drugs as well as common over the counter medicines. We provide fast, friendly and professional service. Our licensed pharmacists have a total of over 50 years experience. u&i pharmacy, owned by Vernon residents Kris Richardson and her husband Ed Ballou, is conveniently located on Rt. 5 in Vernon, in the Community Bank Building. We offer many services you don't find in the big chain pharmacies including FREE delivery. The "u" in the company name reflects the fact that the customer comes first. Unlike the big chain stores, the owner is on site working to ensure all of our customer's needs are met. We work with our customers on issues including, but not limited to, insurance coverage and prescription transfers. We truly do run a "community family pharmacy."